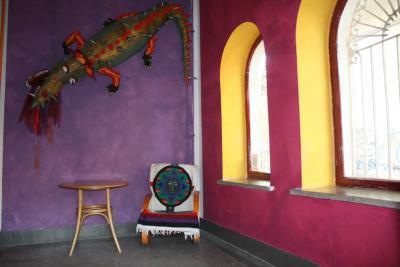 Cute mexican-themed hostel. 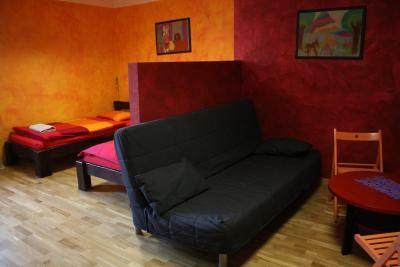 Comfy beds, and is located right near a few bus stations that can bring you anywhere in Warsaw. 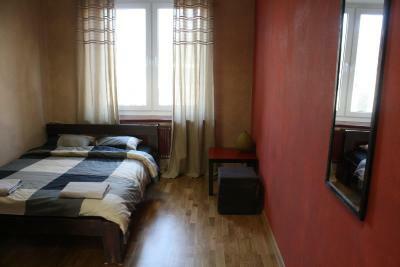 Very Equipped rooms, with lockers, outlets and lights. 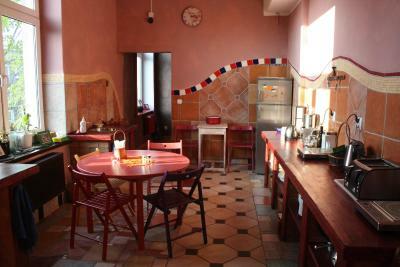 Nice kitchen, and free coffee all day long! 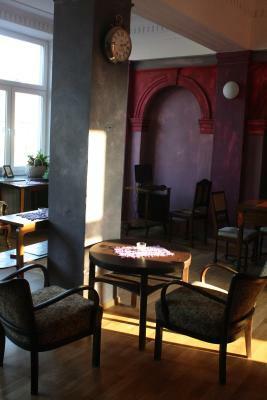 very nice public-lounge, with sofas and computers, you can even work quietly from there. 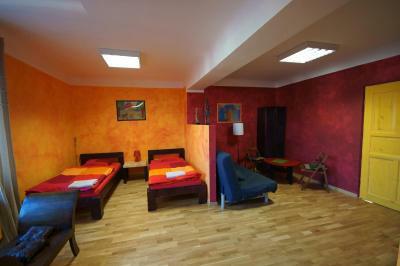 Friendly staff and a clean room. 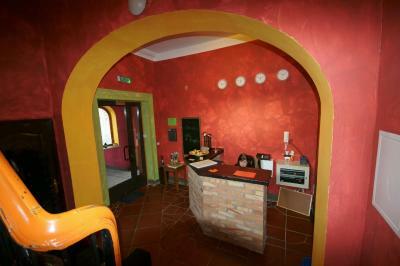 Loved the way the hostel was themed, very colourful and bright! 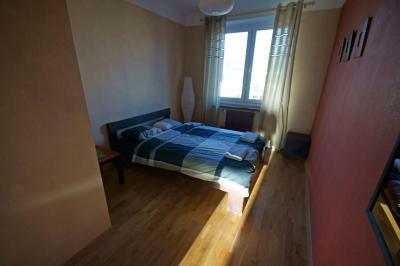 Good location, only about a 20 minute walk to Old town and the main Train station. 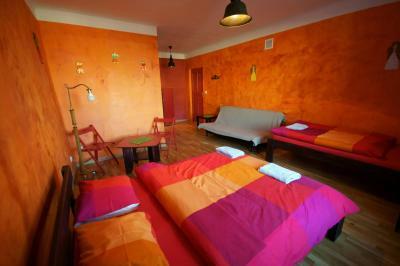 Have been to this hostel before and it's convenient location for my trips purposes is the main reason for staying there. On both occasions I've booked a room in dormitory with 6-8 beds and on both times I've gotten the whole room just for myself! I believe it's because they prefer to keeps girls and boys separated even though they sell 'shared unisex room'. I really appreciate this and will definitely stay there again in near future. Once we got past the shock of the building work going on across the whole building, the beds were comfy enough and only two tram stops away from the Old Town. Friendly receptionists and I love the design Good location It's my 5 or 6 time there, so I checked in once I arrived, not waiting until 14. Fantastic place to relax. Walking distance to the old town. Really enjoyed the common area. 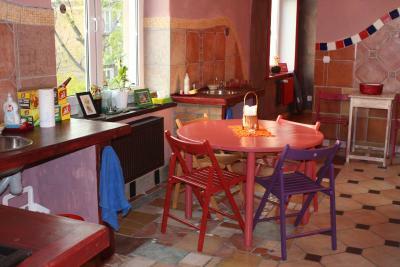 Breakfast was enjoyable and the kitchen presents really well. 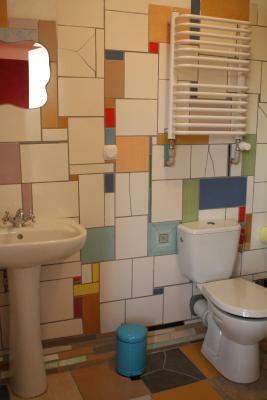 The style of this hostel is a bit different from others I have stayed in. The bed was comfortable but without much privacy. There is a locker and you need your own lock. I found it to be a good place to stay. Nice neighbourhood. Walking distance from main station/Palace of Culture where airport buses drop off (30 mins) plus walking distance to old town (20 mins). Pretty clean. 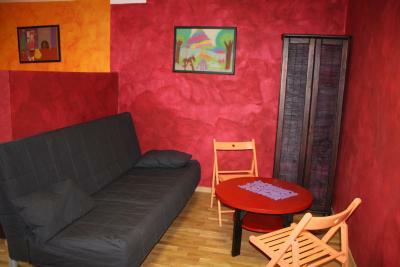 Comfortable common room. 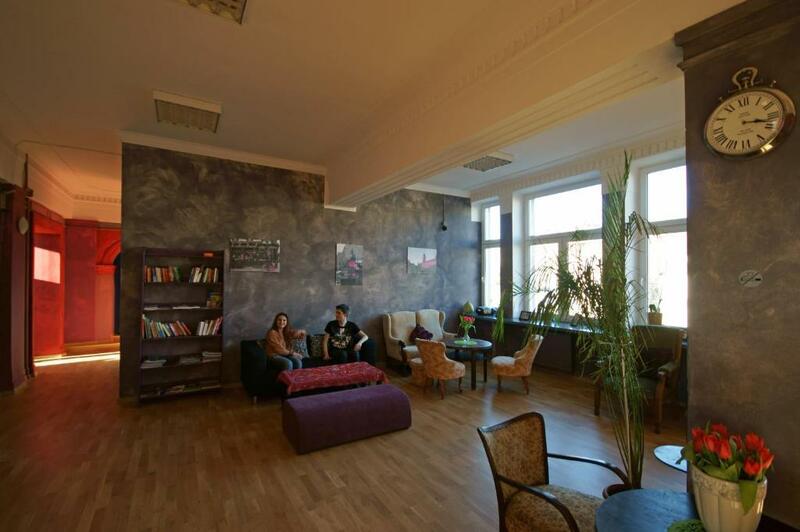 The design El Hostel is conveniently located in central Warsaw, just a 15-minute walk of Metro Ratusz Station and 1.4 mi away from historic Castle Square and popular Krakowskie Przedmieście Street. 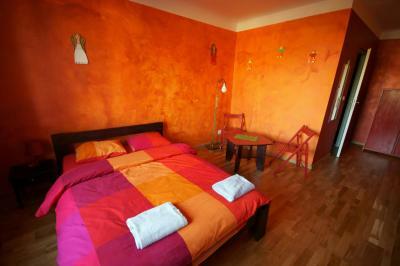 It offers individually designed, colorful rooms with free Wi-Fi and wooden floors. 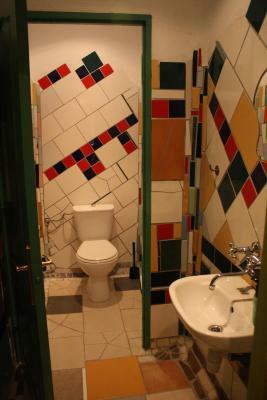 All rooms at the El Hostel are spacious and come with either private or shared bathroom facilities. Lockers and linens are provided. 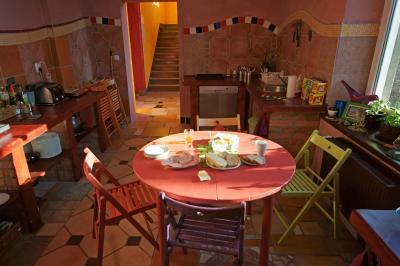 Guests have access to a dining room and a fully equipped kitchen with a coffee maker and a dishwasher. 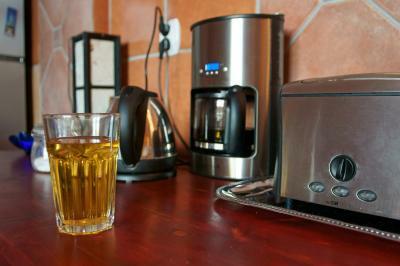 Tea and coffee is available 24 hours a day. Front desk staff is available throughout the day and can assist with luggage storage. 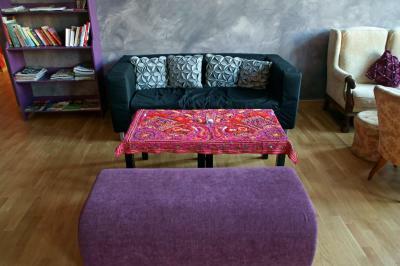 Guests can relax in a common lounge with a DVD player, PCs and a TV. Free parking is available nearby. El Hostel is located 1.6 mi from city’s main railway station, Warszawa Centralna. 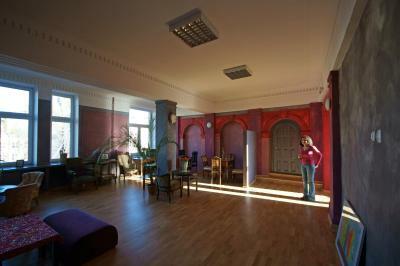 When would you like to stay at El Hostel? 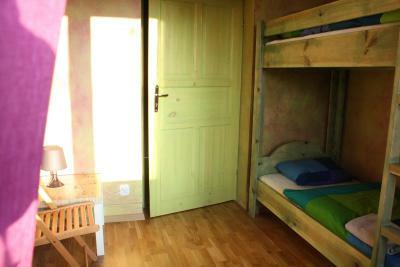 A bed in a simple yet elegant dormitory room with shared bathroom facilities and lockers. 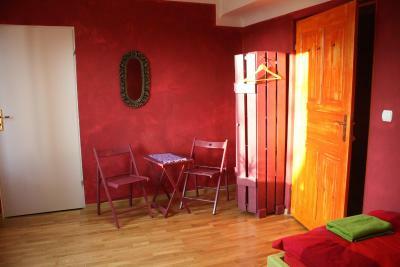 Spacious room done in Orient-inspired colors. 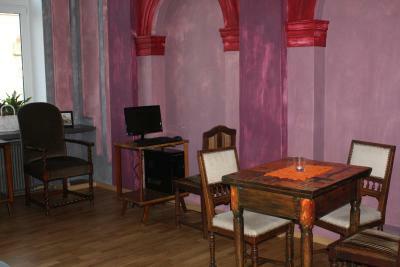 Hand-made furniture and a sofa bed are available, as well as a view of St Augustus Church. 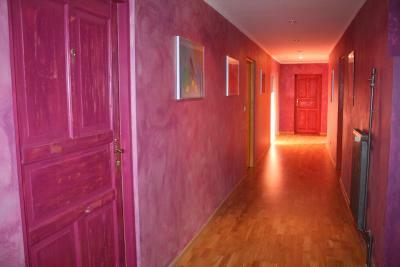 Painted in pastel colors, this elegant room features a private bathroom and wooden floors. 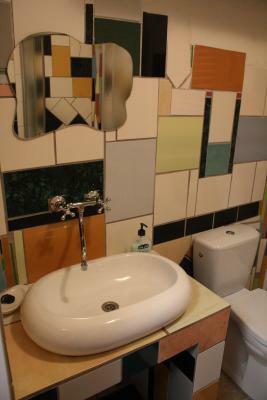 Features handmade furniture and a spacious bathroom. 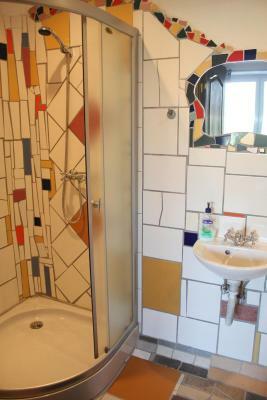 This room can accommodate extra beds. 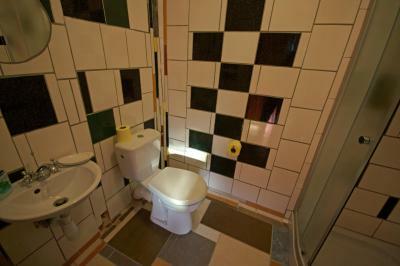 A simple yet elegant dormitory room with spacious lockers shared bathroom facilities. 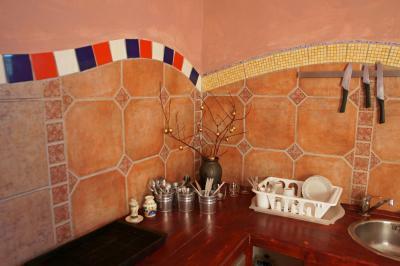 Painted in pastel, Morocco-inspired colors, this room features a spacious, unique bathroom. 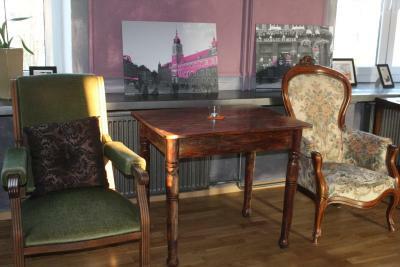 There is also a seating area. 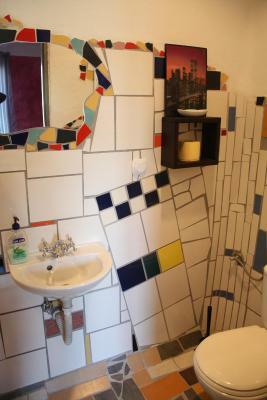 Cozy room with a private bathroom and a desk. 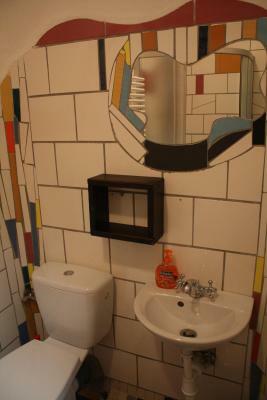 A spacious dormitory room in scandinavan style, with a common bathroom and hand-made furniture. 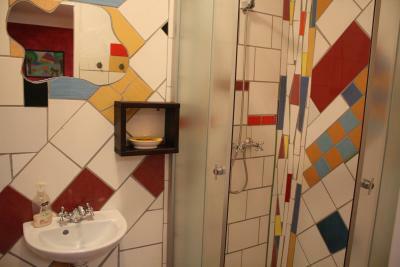 Individually designed room, done in lively Mexican colors. There is a seating area with a reading lamp. Beautiful views of the park can be enjoyed. 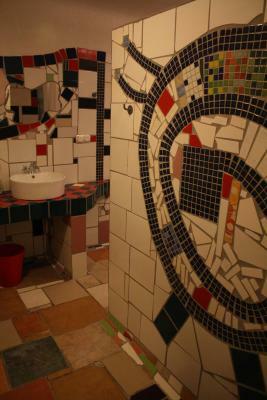 House Rules El Hostel takes special requests – add in the next step! 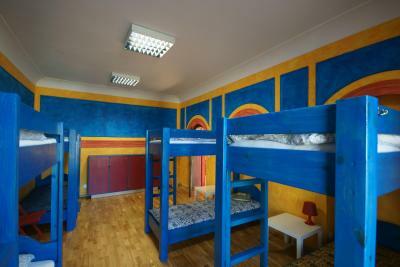 One older child or adult is charged PLN 40 per person per night in an extra bed. 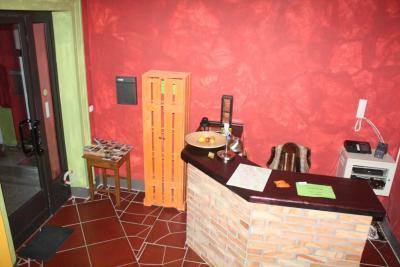 Debit card El Hostel accepts these cards and reserves the right to temporarily hold an amount prior to arrival. El Hostel accepts these cards and reserves the right to temporarily hold an amount prior to arrival. clean. fresh. calm. good kitchen. 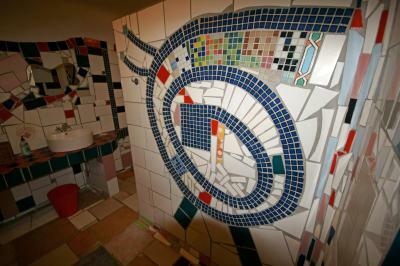 No toilet in the private bathroom. its all good . clean. quiet. good bed. There was not cooker hood in kitchen. So, the fire alarm worked once, when I made fried chicken. No trouble, but alarm sound was horrible. 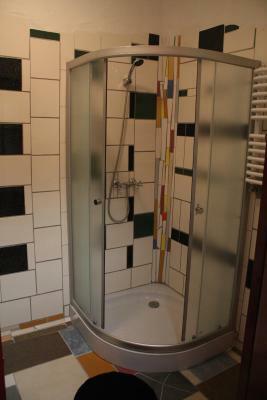 It was very dirty, the receptionist was not wellcoming at all, even scary, in the room felt like ( in the middle of the night ) that there are 15 spanish people in our room because the walls are like papers between the rooms. Last time we booked to here for sure. Looking the price and the quality is rediciolus. Very small and bed breakfast conditions. Last day they didnt have even bread and the guy denied to find bread for us. After a long discussion the refunded us 10 Zloty (2,5 euro) for 2 People. It was ridicolous and unfriendy. 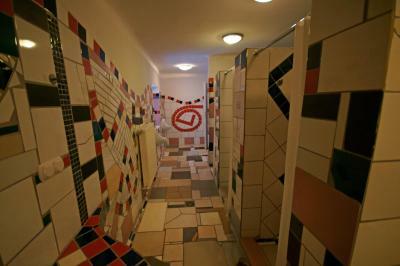 The hostel I would not recommend. Apparently they sell beer in the front desk and guests are allowed to drink it in the common room. Might be a bit loud in the evenings, especially if there's local construction workers staying there etc. When we arrived, we were shocked to find scaffolding all around the hotel, with a cover all across blocking out any view from our rooms. There was also wet cement all out side the building, some of which got on two of my friends trainers and jeans.... so not a good start. The lady we were greeted by did not speak English, but we were a little early so was told the person at 2pm could speak English but then went on to show us our rooms, rather than asking us to wait for half hour. We booked two Triple rooms, told in the confirmation "Triple room: 1 single, 1 double, one sofa bed - Triple room: 1 single, 1 double, one sofa bed" but when we arrived the lady (who did not speak English) tried to put us in a room that just had a single bed and double bed. 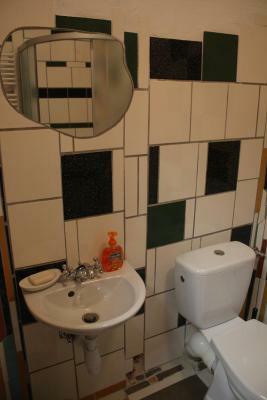 I spoke on the phone to the owner and was told "that is a triple room". They pulled in a urine soaked looking mattress to see if that was OK for the third person in that room..... it was not. After complaining for another ten minutes, they agreed to move us to a room with three beds and one sofa bed. When we tried to leave the hotel, the wet cement had been moved to outside the front door and there was no other exit. I had to try and explain to the lady who did not speak English that we could not get out. 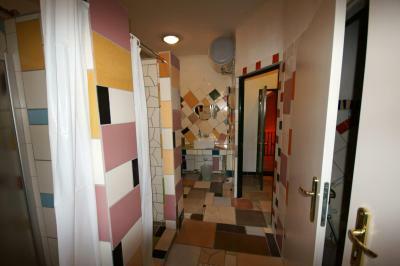 The bathrooms are a little dated and the towels smelt of damp. 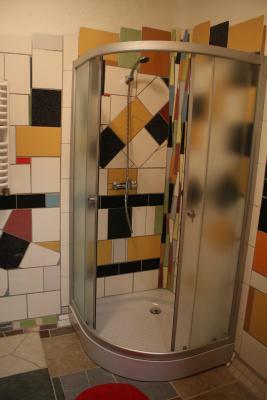 Once we got past the shock of this, it turned out an OK hotel but I would not stay there again. bed . clean . staff. comfortable bed. The breakfast was very basic. Maybe I've expected that the staff wpuld be more friendly and eager to talk with tourists about their town. But these were my expectations.